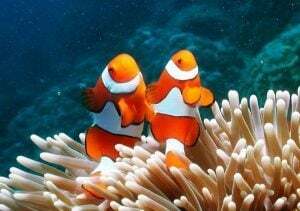 The Great Barrier Reef is the world’s largest coral reef system, and home to more fish, corals and marine animals than anywhere else on earth. Australia’s Great Barrier Reef is a fascinating ecosystem bursting with life and is just a short boat ride from the city of Cairns. A listed World Heritage Site and marine park, the Great Barrier Reef is located off the north-eastern coast of Queensland in the Coral Sea, and is one of the natural wonders of the world – it’s so big it can even be seen from space! 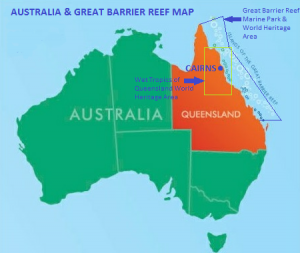 The Great Barrier Reef is located off the north east coast of Australia, on the continental shelf in the Coral Sea. Queensland is the only place in the world where two, independent world heritage sites co-exist; the Great Barrier Reef and the Wet Tropics Rainforest. The Great Barrier reef is home to over 2000 species of fish. That’s almost double the number found in the Caribbean! There are also over 400 species of coral, over 30 species of marine mammals including whales, dolphins and dugongs, 6 species of marine turtles, and much, much more! The Great Barrier Reef is an epicenter for scuba diving activities. 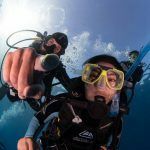 From avid scuba enthusiasts to those trying scuba diving for the first time. The calm shallow lagoons, clear waters and sheltered areas of the Barrier Reef create ideal conditions for some of the worlds very best scuba diving. How will you experience the Great Barrier Reef on our day tour? And see lots of things you can relate to; like the adorable little ‘nemo’ Clown Fish nestling house-proud within it’s anemone home. Or some deep water fish coming into the shallow coral lagoons and lining up to have their teeth cleaned with a visit to a Cleaner Fish station. Much of director James Camerson’s inspiration for the background scenery of his other-universe animation Avatar, was inspired by reef organisms? Take a glass bottom boat tour..
And see the reef up close from above, the commentated glass bottom boat tour is a great alternative to view the marine life beneath the surface and learn something along the way! The average Cleaner Wrasse sees around 2000 clients every day – that’s one busy fish! There are many different ways to see the Great Barrier Reef. From day tours, liveaboard trips, scenic flights to amazing islands the list is never ending! 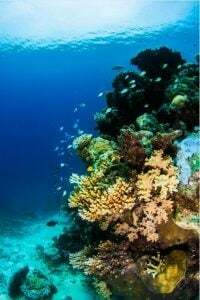 The most desirable areas of pristine coral are the Outer Great Barrier Reefs.